Since I’ve discovered online shopping, it’s safe to say I pretty much buy everything online. I mean you can shop in your pyjamas no matter how rubbish the weather is! Could life get any better?! Shopping online also means I can take advantage of various promotional codes floating around. FeelUnique is usually my first stop for beauty shopping. The reason being they stock a massive range of brands, from drugstore to higher end, skincare to makeup – you name it! What’s better is that they always have some kind of promotion happening where you can save 10-30% off products. They also have a ‘Unique Member’s Club’ where you can pick your favourite brand and get 10% off all year round! I find this amazing, as I go for one of my favourite high end brands and enjoy the discount. Escentual is a must for anyone who loves their skincare. I’m a bit of a skincare junkie and fill my socks with all the French skincare I need especially when Escentual has their bi-annual French pharmacie sale on! I also find that a lot of the higher end products are a little bit cheaper at escentual, so if you’re making a pricey purchase, make sure you’ve checked here first. I always stock up on my La Roche-Posay and Bioderma from here. They also have a points system, which you can redeem as money off products; score! ASOS beauty is on here solely because this is where I tend to get my NARS fix. I’m a #narsissist through and thorough. Since I made my first purchase last year (from ASOS, might I add! ), I’ve been besotted! I love that you can get student discount on beauty products saving you that extra bit of money, and quite often through the year ASOS has up to 20% off beauty sale. If that’s not a reason to shop here, I don’t know what is! I love that they again stock a large range of brands, I’ve grabbed myself a lot of Rimmel products with the bargains from ASOS. Living in the North-East, my closest Selfridges is in Manchester; which is a tad far to travel to stare at pretty Charlotte Tilbury makeup! So I tend to hover and add an obscene amount of makeup to my virtual basket and then just leave my browser running as I can’t part with the cash *sob*. What I love Selfridges for are the brands that you can’t get hold of anywhere else. Also, they always seem to do amazing exclusive collections that are so worth the money. 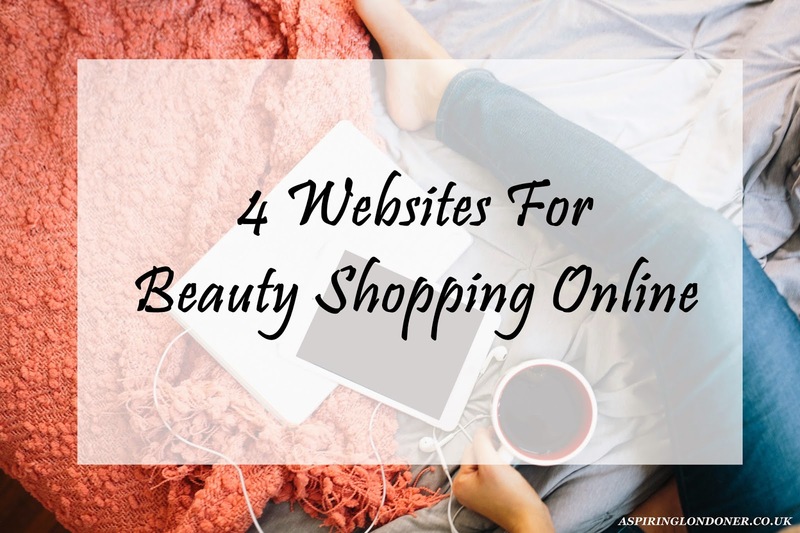 What are your favourite beauty shopping websites? Share in the comments below or tweet me @aspiring_london!